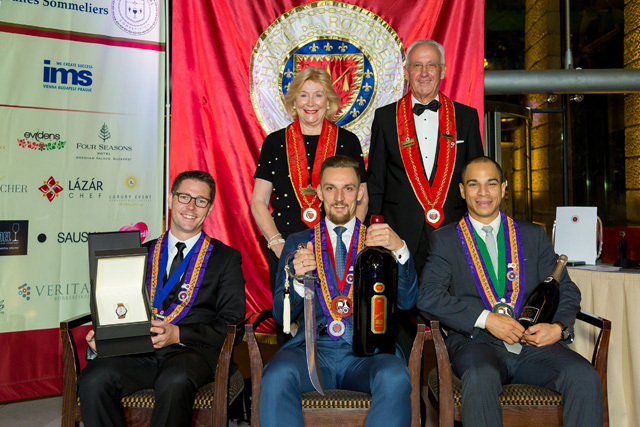 In 2007 the Chaîne des Rôtisseurs inaugurated the annual International Young Sommeliers Competition to offer young sommeliers the opportunity to present their skills and “savoir faire” under highly competitive, intense and grueling testing conditions. A mission of our Society is to promote the enjoyment, knowledge and understanding of fine wines and crafted beverages. The framework of our organization provides for professional participation, with one of its goals being to provide help, encouragement and support for the young professionals who are to be the best sommeliers of the future. There is no cost to any competitor in the Young Sommelier competition at any level, local, regional and international. In 2018, Calgary will be the site of the first regional Young Sommelier competition in Canada. We are very proud to be taking this first step to developing local young professionals here in our home town. This event will be held annually with the intention of recommending our regional winner to advance to the international competition provided the standards of international competition are met. In the past three years, two Calgary area sommeliers have represented Canada at the international competition, here is what they have to say about the event and the opportunity to compete.